Most forage seeds are small and sensitive to their microenvironment. Seeding depth is also critical — too deep or too shallow can spell doom and there’s just not a lot of wiggle room. Even for an excellent stand, a relatively small percentage of the seeds planted actually develop into productive plants. Purchasing new forage genetics is expensive, be it grass or legume. This inflicts further pain to the reality of a failed seeding, even when there is an establishment warranty. A failed seeding at worst results in the loss of an entire establishment year. Time and investment in inputs such as fertilizer and herbicide are also lost. 1. Environmental conditions. Both cold and wet or hot and dry make for unfavorable establishment conditions. The former slows growth and can be beneficial for seedling diseases to take hold. A “death wish” on forage seedings is when just enough moisture is available for germination, and then the faucet turns off, leaving plants to wither. This is often more common with summer seedings but can occur in the spring. Any weather conditions that result in soil crusting before emergence are also detrimental to stand establishment. Further, a hard frost after seedlings do emerge can also wreak havoc. 2. Seedling diseases. Most newer seed genetics have good to excellent resistance for plant diseases, but favorable environments for disease development can still humble genetics. This is especially true in the seedling stage when plants are more vulnerable. The myriad of plant disease organisms that can strike alfalfa seedlings include Pythium, Rhizoctonia, Phytophthora, and Aphanomyces. When plants are in the seedling stage, it’s often difficult to confirm the exact disease causal organism without lab analysis. A good seed-applied fungicide product, coupled with seed genetics, is the best defense against seedling diseases. 3. Planting depth. Many experts feel that this is the number one reason for seeding failures, generally because seeds were placed too deep. Small forage seeds simply don’t have the stored resources to emerge from deeper placement. Always check seed placement early in the process of seeding a new field. 4. Herbicide carryover. Forage seedlings are extremely sensitive to certain herbicides that might have been used on last year’s crop. Further, soil type and environmental conditions over the previous summer and winter may exacerbate the problem. 5. Bad seed. Most new, purchased seed is of high quality; however, the same can’t be said for holdover or bin-run seed. Poor-quality seed is rarely the reason for a failed stand, but it can happen. I once was investigating a poor winter rye stand and, after eliminating other potential causal factors, got some of the bin-run seed to do a germination test at our state lab. It came back at 4 percent. 6. Other possibilities. Depending on the forage species, new seedings can be vulnerable to weed or insect pressure. Here’s a situation where the initial stand may be good but a lack of maintenance practices sends the seeding into a tailspin. The same can also occur where insufficient soil fertility or pH eventually restricts plant development. A bad stand: What’s next? Some new seedings are easy to issue last rites for. Others, however, may just need time. I’ve seen some pretty sorry looking stands come to life in late summer or even the next spring. Don’t be too quick to judge if you think there’s still hope. To give plants a fighting chance, they need sunlight and adequate moisture. As mentioned previously, reduce weed competition by using either herbicides or by clipping. From now until late summer, continue to monitor marginal stands. Most experts feel that you need at least 15 plants per square foot to keep a new seeding. 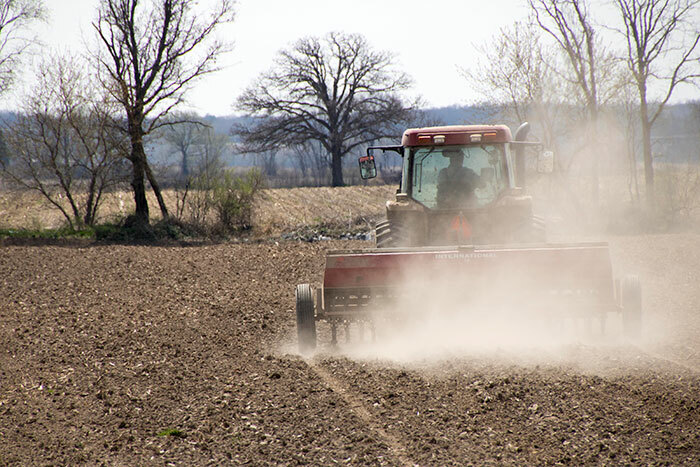 Below that level, replanting in August or early September remains an option because autotoxicity is generally not a problem following a spring seeding of the same year. Often, it may be a situation where only portions of the field need replanted. This can be done by doing a minimum of surface tillage to these areas and reseeding; using a good no-till drill is also an option.